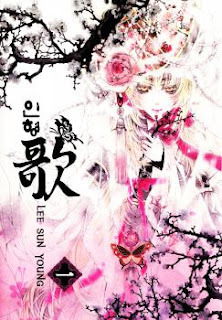 Lee Woo-hee was kidnapped and found under a plum tree with a faint memory of a man telling her, "I promise you that until the day we meet again, you will be reborn." After that incident, her father became protective and would only allow her to go from the house to the plum tree she loved. However, she would be allowed to venture into the village on the day of the new moon. One such day she meets a exorcist that warns her of a man dressed in black. Will she take this warning to heart? Or is it already too late...? THANK YOU SO MUCH FOR PUTTING THESE UP! Any chance you might have vol 1 raw for this? Thanks!! can you please upload another download link or try fixing it? I ask you too, can you upload volume 1 please? Could you upload volume 1 please? is this an English translation?